Track days can be a thrilling event, whether you are part of a car club, or with a group of friends. The majority of car insurance providers do not cover track events, so it is important that you have specialist track day insurance for when you and your car are heating up the tarmac. Now, Adrian Flux are pleased to be able to offer cover to new and existing customers for a wide variety of track day events making this fun-filled hobby more accessible and affordable for all. Here are a few features which make Adrian Flux track day insurance a great buy. 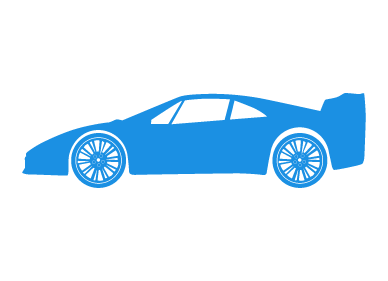 Up to 10% discount for track day insurance, depending on the agreed voluntary excess amount. Prices start from just £67.20 per day. Our flexible and affordable policy includes the UK's most famous tracks, as well as regional smaller ones, totalling over 30 different locations, allowing customers the opportunity to participate in track days all over the UK. Dont let track day insurance be the reason you are deterred from participating in track day events. Enjoy your hobby with the peace of mind that youre protected if anything were to happen by taking out insurance with Adrian Flux. Call now for a track day insurance quote on 0344 381 6502 to ensure your pride and joy has the protection it deserves when you take it onto the track.